Nike has done it again with this dazzling release. 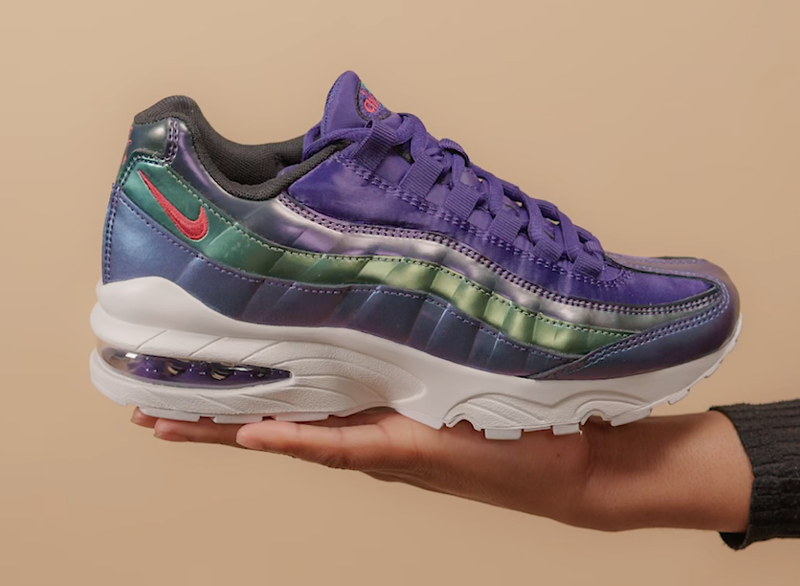 Sticking with the futuristic, metallic wave we’re seeing everywhere – especially in the just released Throwback Future Pack – Nike has delivered with a Grade School alternative. So if your feet were too small for the women’s versions, or you just prefer another colourway, check these out. The release features 2 silhouettes: An Air Force 1 LV8 and an Air Max 95 SE. 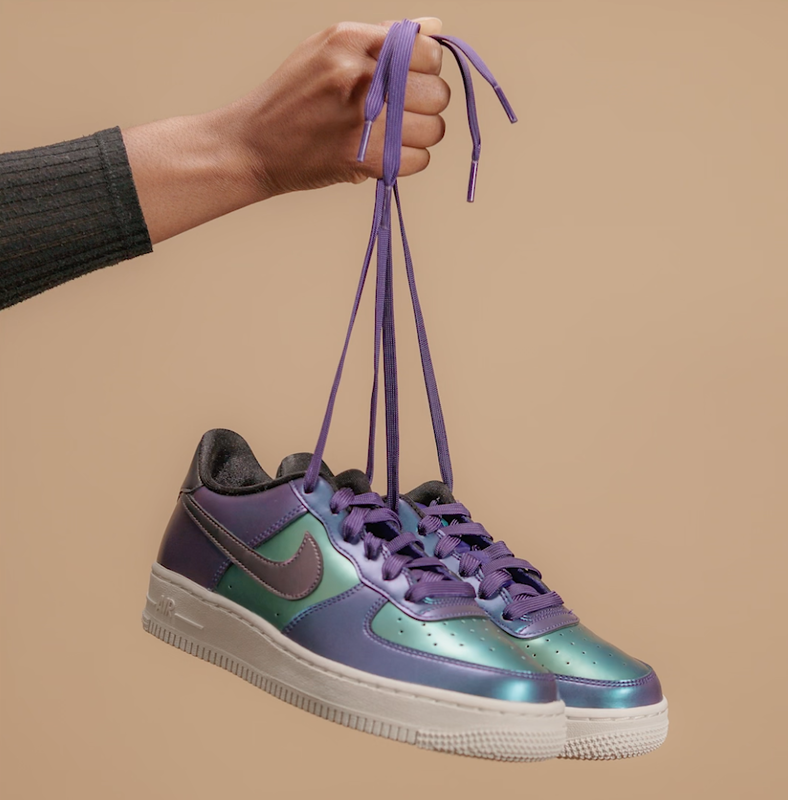 Both arrive in the Court Purple/Rush Pink/Neptune Green colourway and are crafted from a sturdy leather upper with their iconic Air sole units. The metallic colour palette shoes fuchsia pink, sea green and metallic blue running all throughout the shoe, with a slight change of colour and shine intensity depending on the light. The Air Force 1 LV8 has a slightly raised sole unit, with an upper crafted in that iconic Air Force pattern. There’s a huge purple Swoosh dominating the sidewall, with rich flat purple laces tying the theme and colours together. As for the Air Max 95, there’s the classic waved leather upper, with each stripe taking a different iridescent, holographic hue. In true AM-95 style, there’s that iconic lacing unit with a fully exposed Air Max Sole Unit at the back. Will you be copping? Let us know what you think of this metallic, futuristic theme Nike is taking at the moment – love it or hate it, we want to know! In the mean time, keep it locked to The Sole Womens for more sneaker updates, releases and style guides.